I was having some company over for the Super Bowl and I got a request to make chicken wings with my Spicy, Sweet & Sour sauce. Sure, no problem, I was more than happy to accommodate that… but if I was making wings I couldn’t just do one type! 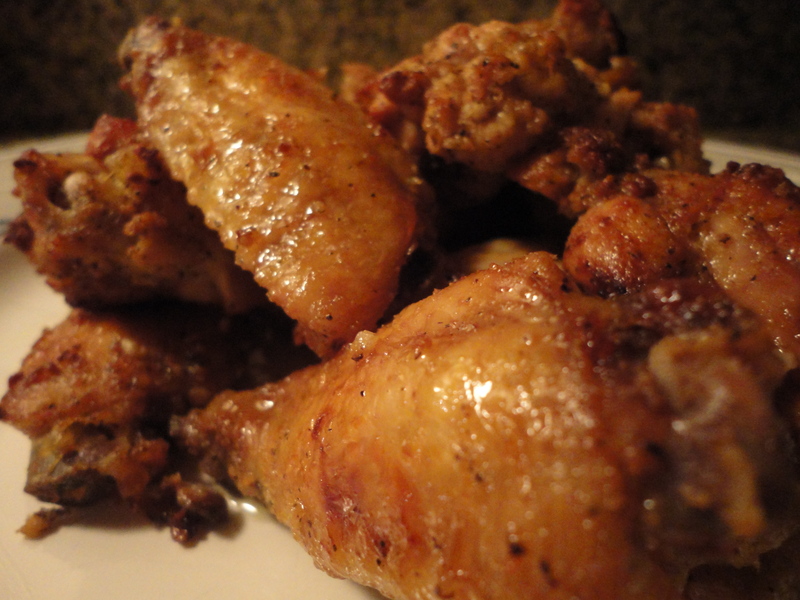 So I decided to make a second batch with a preparation I used to do years ago, Garlic & Lime Wings. Serves 2-4 as a snack. It really doesn’t get much easier than this… Simply combine all of the ingredients in a sealable plastic bag and toss until the chicken is evenly coated. Marinade in the refrigerator for at least 2 hours, and up to 24 hours. Remove from the fridge 30 minutes prior to baking and keep at room temperature. This will allow the oil to loosen back up. Lightly grease a baking sheet or 9×13″ baking dish. Bake the chicken until lightly browned, 40-45 minutes, turning halfway through to prevent burning. Tags: chicken, cooking, food, game day, perfect pairings, perfect pairings at home, snacks, wings. Bookmark the permalink.